The Isheyevo Meteorite is categorized as a CH/CBb Bencubbin-like type meteorite. 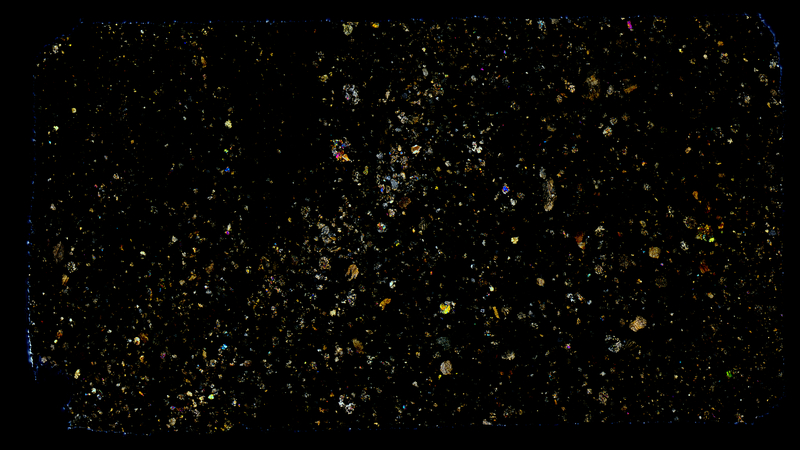 It contains FeNi grains, C, POP, rare BO chondrules, chondrule fragments, CAIs, and matrix lumps. The polarized image seen here shows a central elongated structure with polarized features, while the remaining areas show vast areas of black matrix material. It reminds one of the Milky Way winding its way through the night sky. Pictures of the meteorite mass.